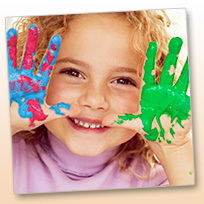 Our aim is to give your child a happy and confident start in life. Information for parents including: applying for a place, fees, opening times, key dates and meals. Make sure you read our rules and regulations to ensure the welfare of your child and other children. The nursery is organised around four classes: the Baby Room, the Toddler Room, the Cub Room and the Lion Room.